When it comes time to retire your old devices with memory storage, recycle them with a certified electronics recycler who will ensure they won’t be destined for a landfill and that your data is completely destroyed. Most people know that personal computers, tablets and mobile phones store personal data – data which can be retrieved if it is not erased or destroyed. But did you know that your peripheral devices – printers, etc. – also store your data? This is of principle concern when selling, donating or recycling these devices. Depending upon the device, the amount of data it stores and for how long can vary. Printers that are less than 20 years old all contain memory storage. Fax machines store data that is both sent and received, although some models clear the memory once a document is printed. 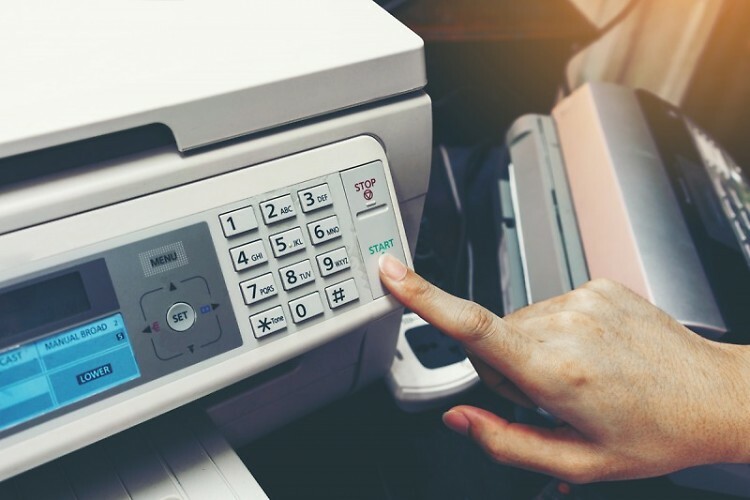 Copiers and scanners, in particular (and this includes multifunction printers), pose a threat because they have hard drives similar to a computer that store the image of a copied or scanned document. Printers. In some cases, such as a single-function personal printer, this is as easy as overwriting the memory by printing out several complex documents (photos are particularly good for this but will use a lot of ink) which will replace the limited memory in the printer. Fax Machines. To clear memory from a fax machine, most models have a “clear memory” feature. For instructions on how to do this consult the owner’s manual. Some also allow you to turn off the storage feature entirely to disable it. Copiers and Scanners. These take a picture of a document which is then stored in memory until it is deleted. The reason copiers and scanners do this is to improve the performance and quality of the output document. For instructions on clearing the memory consult the user’s manual. When it comes time to retire your old devices with memory storage, Comprenew recommends you recycle them with a certified electronics recycler that provides data security to ensure they won’t be destined for a landfill and your data is completely destroyed. This will give you peace of mind and confidence that you have done your part to protect the environment from contamination by discarded electronics. Comprenew is a leader in data security in the electronics recycling industry, and does not charge a fee to recycle these specific devices to customers who bring their electronics to a Comprenew store for recycling.